Let’s take a look at why team member welcome packages are important and discuss how you can create your very own for your company, using inspiration from some of our favourite employee welcome kit examples. Overall, a welcome package is an important tool for developing your company’s culture. First impressions count, and every new team member deserves a stellar first day. What should a welcome package do? Not being given directions or guidance on your first day is incredibly frustrating. And as an employer, why would you hire someone and not have them be productive as soon as possible? 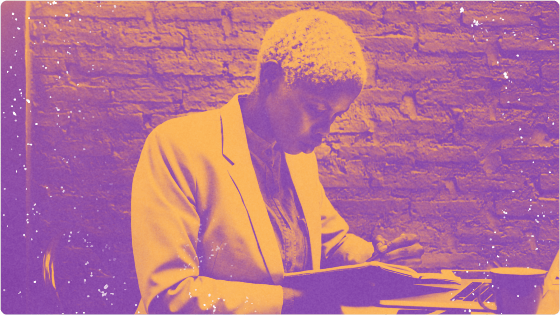 Help a new employee be as productive as possible on their first day by getting them prepared with all the information, tools, and guidance needed to hit the ground running right away. The employee handbook (found within the employee welcome package) should lay out the expectations of the office. Everything from the expectations of their specific department to the shared expectations of team member performance amongst every employee. This includes scheduling out your new employee’s first day on the job. The last thing you want is your new team member sitting around waiting for the next steps, so be sure to provide a detailed first day schedule so new teammates know what to expect. Using clear and simple language free of any company jargon will make the onboarding process easier. Be sure to detail how communication is handled in the office as well. Speaking over the phone, through email, Slack, or in person are great ways to get in touch. But it’s difficult to know which medium is most suitable for a given situation. For example, suggestions on snacks for the kitchen may be organized in a Slack channel dedicated to office feedback. Outline all communication channels for a new employee so they are informed. The best employee welcome packages are created over long periods of time and with heaps of feedback. If you’re creating your first welcome package, it will be hard to know what works and what doesn’t. That’s why collecting feedback from your team members is crucial. Feedback will allow you to preempt frequently asked questions and concerns any new employees will have with more foresight and efficiency. The quicker you can address questions and concerns, the faster a new employee will be up and running. 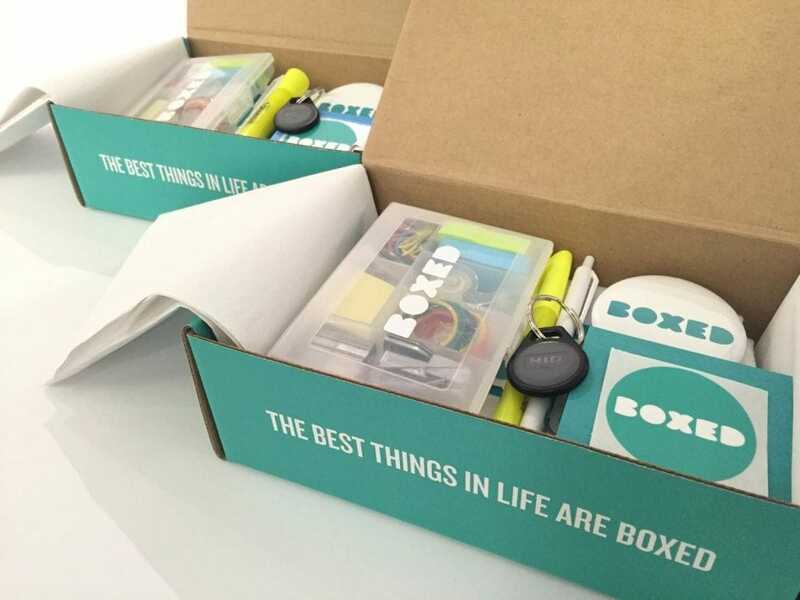 Online wholesale shop Boxed built this branded welcome kit for their new hires. In it, they have the typical welcome package suspects, including office supplies, a welcome card, a notebook, a t-shirt, a water bottle, stickers, and more. We love the branded items and the playful presentation. Making that extra effort to brand everything in the welcome kit adds a little flair and gives new hires a taste of your brand’s culture. The user experience team at Salesforce has this slick welcome package waiting on the desks of new hires on day one. As a UX designer, one who appreciates great design, this would be an stellar start to your first day. Salesforce doesn’t slouch when it comes to employee welcome packages. New UX designers get handy reading materials, pens and pins, t-shirts, a credit for new headphones, and more. The entire package shows how much Salesforce values their design team. The mix of personal development materials and fun items like the Nerf gun showcases their definitive and unique company culture. Salesforce is about being your best self, but also about having fun. Uber keeps things simple with their employee welcome kit. 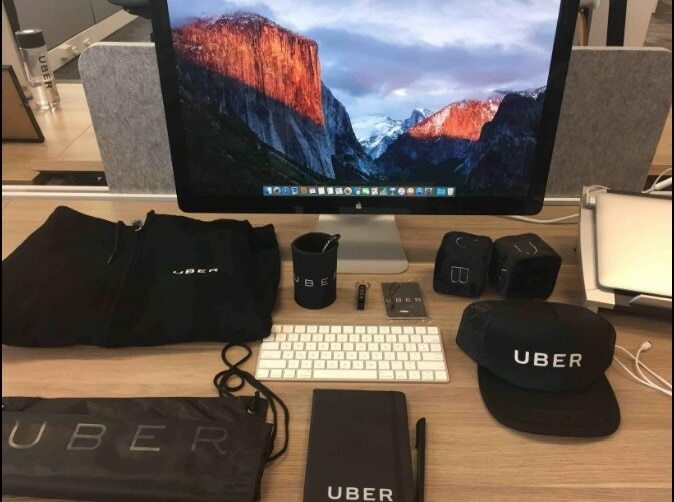 New hires get the full gamut of Uber swag on their first day, such as a jacket, a mug, a notebook, a hat, and more. Uber also adds in a personal touch with the furry dice. We love it when companies include a small item to show off the culture and personality of the team. There’s also a Square card reader and a book that Jack Dorsey gives to all his new hires called, The Checklist Manifesto: How To Get Things Right by Atul Gawande. Dorsey says he gives it to everyone as a guide to help make better decisions. 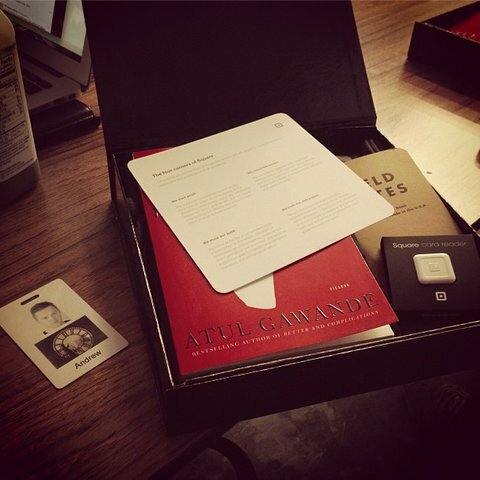 With a well thought-out welcome kit like this, Square’s new team members are instantly ready to get started. You only get one chance to make a great first impression on a new hire’s first day. A good welcome package is meant to get your new team members started on their first day as efficiently as possible. It can also double as a primer for your company’s culture. If the only item a new employees get on their first day is an employee handbook, your company is missing out on a great onboarding opportunity. 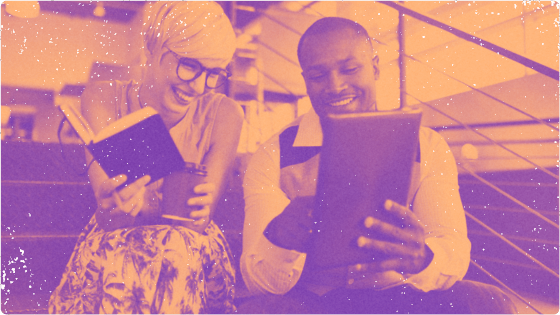 Discover how to create the ultimate welcome package that makes a monumental impression on your new employees right from day one by downloading our ebook, The Ultimate Guide to Creating an Employee Welcome Package. By following these steps, HR pros should be well on their way to creating an effective employee welcome package.